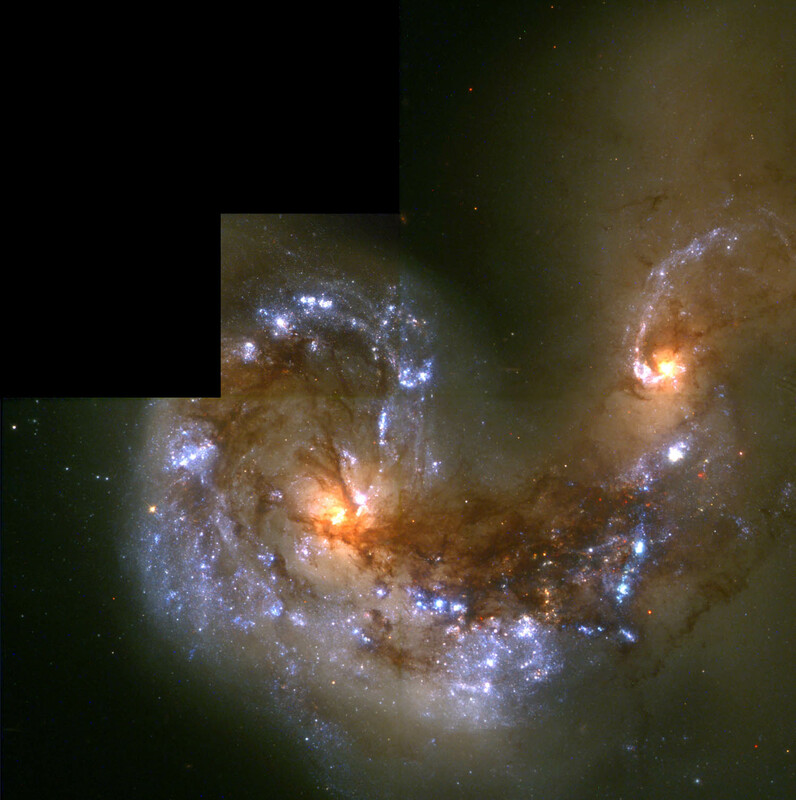 Explanation: A ground-based telescopic view (left) of the collision between the galaxies NGC4038 and NGC4039 reveals long arcing insect-like "antennae" of luminous matter flung from the scene of the accident. Investigators using the Hubble Space Telescope to sift through the cosmic wreckage near the two galaxy cores have recently announced the discovery of over a thousand bright young clusters of stars - the result of a burst of star formation triggered by the collision. 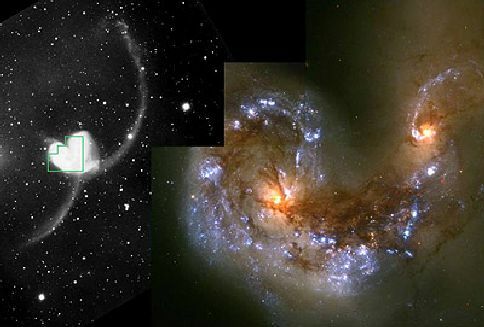 The green outline shows the area covered by the higher resolution Hubble image (right). At the distance of the Antennae galaxies (about 63 million light-years), a pixel in this image corresponds to about 15 light-years. Dust clouds around the two galactic nuclei give them a dimmed and reddened appearance while the massive, hot, young stars of the newly formed clusters are blue. How do colliding galaxies evolve with time? Determining the ages of star clusters formed in galaxy collisions can provide significant clues. The Antennae galaxies are seen in the southerly constellation Corvus.